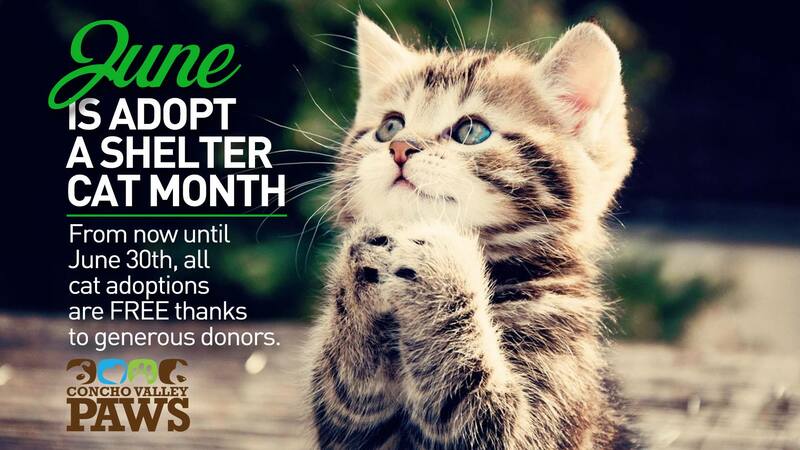 SAN ANGELO, TX — June is recognized nationally as “Adopt a Shelter Cat Month” and Concho Valley Paws has announced that all cat adoptions are free from now until June 30. Free adoptions mean that the cost of veterinary care is underwritten by donors so Paws does not have to collect an adoption fee to help repay that expense. “I have been involved in rescue since 2008. In April of that year, my husband and I were very involved in a large scale local rescue and we solicited the help of a national organization. I learned a great deal about rescue, but also about the animal issues I had been completely blind to in my community. Once my eyes were opened to the fact that San Angelo was home to one of the highest kill shelters in the state, I dedicated my professional life to doing what I could to change things. In 2009, the city shelter had a kill rate of over 80%. Today, less than 10 years later, the live release rate is 73% and we are well on our way to becoming a true no kill community by the year 2020,” said Jenie Wilson. Paws has a screening process. Adopters must complete an application and show photo identification, which helps deter people with criminal or cruel intent. There is no wavering from the screening process. The screening process includes address verification, driver’s license or photo identification to confirm identity. Landlord approval is required unless you own or are buying your home and that is also verified. A veterinary reference is required and any pets currently in the home have to be up-to-date on vaccines and spayed or neutered. Personal references are needed and an emergency contact to register the microchip. In addition, pet ownership history is reviewed and if an applicant has had any negative interactions with animal control. “Because of our requirements, we have to decline almost 30% of applicants. As you can imagine, we are criticized for that, too. However, we stand by these requirements because we believe that these are better indicators of what will be a good home. These requirements tell us much more about a person’s ability to care for an animal than any adoption fee ever could,” said Jenie. When the screening process is completed and everything is checked and passes, adopters sign a contractual agreement with Concho Valley Paws. All adoptions are a risk truthfully, and Concho Valley Paws works hard to minimize the risk as much as possible. I used to be the proud owner of a cat we named tigger. i still have the claw marks to prove it. we used to have afig tree on the back porch . Tigger could tell when we were leaving town, So he escaped up there into the fig tree, Like a fool, I climbed up there to get him down, He pawed me and I am no Dr. DooLittle. but in cat language he sort of said, I don't mind if you go on vacation to disneyland, just don't keep me locked up in that dam house. I was up there in the fig tree, and I said, you know what. You are smarter than I am.